SOFIA (Bulgaria), March 22 (SeeNews) - The Bulgarian Stock Exchange blue-chip SOFIX index posted a three-day losing run, as it lost 0.62% to 582.34 points on Friday. 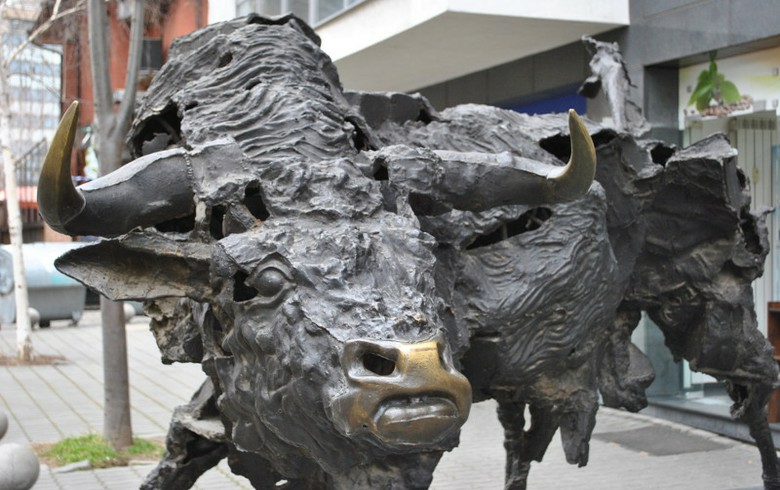 The losing streak, which resulted in an overall loss of 0.25% this week, was largely caused by a slump in the share price of financial and insurance group Eurohold Bulgaria [BUL:4EH]. Eurohold Bulgaria gained 20% on Tuesday, when the company announced plans for a capital increase, but then entirely erased the rise in the next three trading sessions. The biggest blue-chip decliner on Friday was software developer Sirma Goup Holding [BUL:SKK], which dropped 4.25% to 0.812 levs. The BGBX40, which tracks the 40 most traded shares on the Sofia bourse, fell 0.48% to 115.38 points, while the BGTR30, in which companies with a free float of at least 10% have equal weight, declined 0.38% to 503.63 points. The BGREIT index, which tracks real estate investment trusts, edged up 0.11% to 120.27 points, solely due to a 0.53% rise in the share price of Bulgarian Real Estate Fund REIT [BUL:5BU]. Total trading turnover on the BSE regulated market fell to 1.2 million levs ($692,000/614,000 euro) on Friday from 4.2 million levs on Thursday.